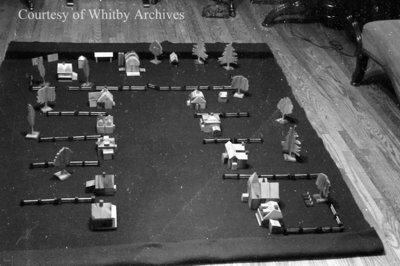 A black and white negative of model houses laid out on a blanket. The models were built by Rex Insole. Rex Insole's Model Houses, March 24, 1939, Marjorie Ruddy. Whitby Archives A2013_040_711A.